Lee obtained his Master of Osteopathy degree from the European School of Osteopathy, in Maidstone, Kent. 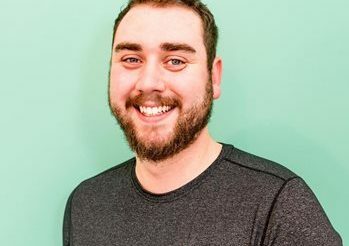 At the European School there is a great emphasis on student’s Cranial Osteopathy skills, which Lee has honed to a high standard in his undergraduate study. Cranial Osteopathy is an incredibly gentle and refined form of osteopathic treatment which uses an Osteopath’s highly developed sense of touch to register and improve a patient’s tissue quality. It is a very relaxing style of treatment; and as such is often recommended for babies, children and the elderly. Lee is our suggested practitioner for these patients because of his cranial expertise. Ever a keen learner, Lee also completed a course in Western Medical Acupuncture, to complement his Osteopathic techniques. Because of his dry needling skill, and his fine technique, Lee proves popular for patients with head and neck pain. Lee volunteers his time for charities, especially for Myasthenia Gravis, and teaches children to swim in his spare time.